Looky Periscope | What can you see? See so much more than you could before! With this cool Looky Periscope from Navir Optic, you'll see so much more than you could before! With its unique design (colours are selected at random) and effective dual-mirror system, this monocular Looky Periscope allows viewing around corners, above walls and in all sorts of hard to reach places! Composed of 3 telescopic and extendable tubes making it easy to store and carry, this periscope permits observation of objects where direct viewing is impossible! 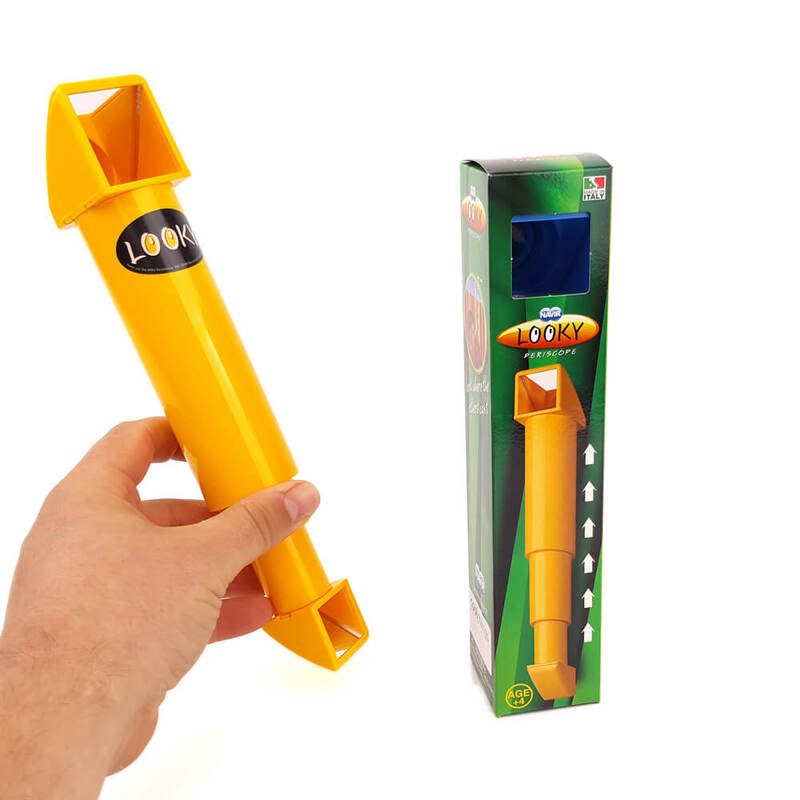 This is a great toy for backyard games and has endless practical uses as well - so why not get yourself a Looky Periscope today? Looky Periscopes are available in a range of different colours - These colours are selected at random. Extends to over 40 cm when opened and collapses to 20 cm when closed. My daughter (7) wanted a periscope for Christmas so we ordered this one and she loves it! She uses it everyday for various activities and spying. Would highly recommend!